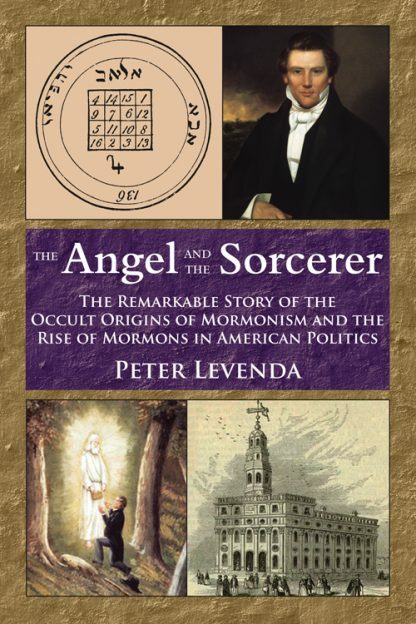 Based on Levenda's research into Mormonism, Freemasonry, and esoteric societies over the past thirty years, this book is intended for an audience that is curious about Mormonism in light of the fact that at the beginning of 2012 there were two Mormons running for the GOP presidential nomination against two Roman Catholics. There has been much confusion in the media over various Mormon phenomena, such as the "magic underwear," polygamy "Big Love" style, and much else. This book examines the beliefs and reveals the facts of Mormon ideas and practice, starting with its founder Joseph Smith Jr. who began his religious career with rituals of ceremonial magic and divination, and ended it with Freemasonry, the largest militia in the state of Illinois, a candidacy for US president, and assassination. Levenda also discussed the Mormons connection to Howard Hughes, Richard Nixon and Watergate as well as the role of Mormons in contemporary Presidential elections. This is the fascinating story of a purely American religion, its occult origins, and the rise of Mormons in American politics. Peter Levenda�s esoteric titles include The Dark Lord, Tantric Temples, and The Tantric Alchemist. His histories include The Hitler Legacy and Ratline. Levenda has appeared as an expert on Nazi occultism and strange science on the History Channel, the Discovery Channel, the National Geographic Channel, the Science Channel, and TNT.